Driving with the Fadiel Satellite Accelerator is a game changer when it comes to driving a vehicle with just the use of the hands. Having two hands on the wheel is a MUST… not a luxury, be it for competing in the Targa Tasmania or daily driving. No way could you EVER consider driving in an event like the Targa Tasmania the way I drive with my limited function and traditional controls. Now, with the world’s 1st ever “Fly By Wire” Hand Controls I can drive a car again, I mean really drive again, competently and safely, with 2 hands on the wheel. This dream has finally come true thanks to Total Ability and Fadiel Italiana. 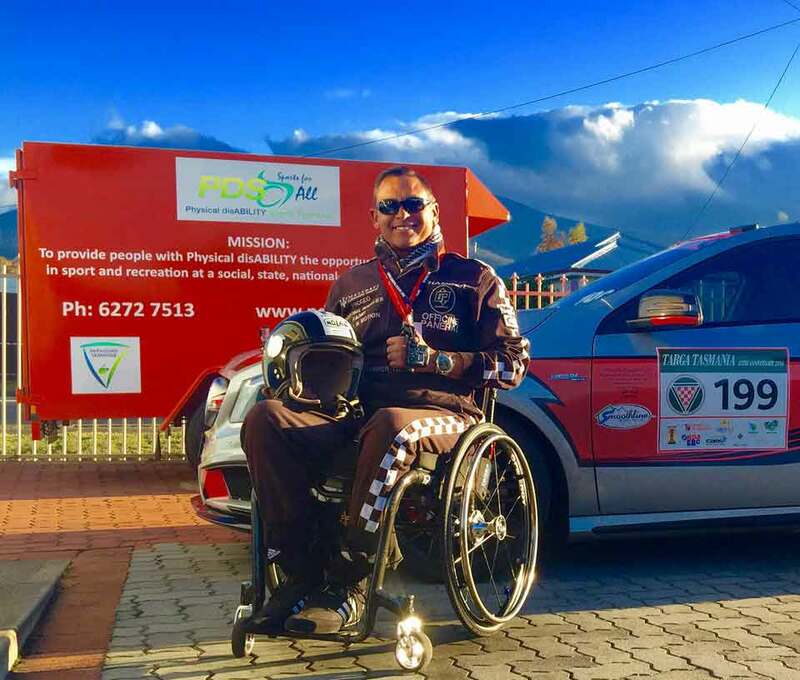 Alan Hammer – paraplegic & Targa Tasmania participant. The Fadiel controls I now have fitted in my vehicle have impacted on my life in such a positive way. The design of the controls (Combined Brake & Ergonomic Accelerator) allow me to have no stress on my shoulders or arms throughout my driving experience. I now just transfer into the driver seat and relax my hand on the driving control and I have an enjoyable journey. I highly recommend the Fadiel driving controls provided by Total Ability. From the first enquiry to Total Ability and the speedy reply to my enquiry, I have found Paul Crake to be very knowledgeable on all of the Fadiel products his company supplies. I was very impressed with the personal attention I received and Total Ability’s commitment to customer service and satisfaction which has continued past the original sale of their equipment. Combine this with Total Ability’s wide network of committed installers of FadieI products, Total Ability is an organisation that ticks all the boxes. 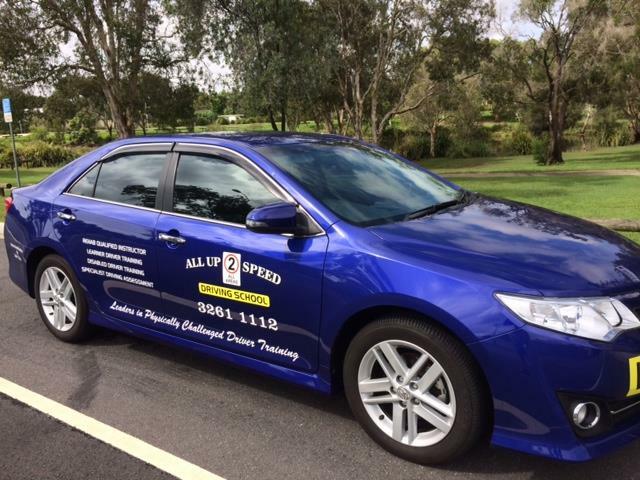 As a driving school based in Brisbane Queensland with initial limited knowledge of disabled driver aids the decision to install Fadiel equipment in my training vehicle was not without research into alternatives but ultimately it was a leap of faith in my own belief I got the research right and the support, combined with the personal attention and assistance provided by Total Ability. A decision I do not regret as now more than happy to refer others in the knowledge they will also receive the personal attention that I received. From the first training vehicle equipped with two separate Fadiel hand controls being the combination of left hand AC2002 Satellite Accelerator and brake and the right hand FS2005 trigger accelerator and brake, it wasn’t long before I saw the training advantages these two systems provided my clients. This led to looking to install an additional control of the right hand FS2008 Push/Pull brake and accelerator combination. It was a challenge I put to Total Ability, their Installers and Fadiel to make all three separate controls work in one vehicle. The end result all met the challenge with enthusiasm and commitment to my satisfaction. Now into the second training vehicle the success in operation and reliability of the Fadiel hand controls in the first vehicle left little doubt to again equip the second vehicle with Fadiel equipment. This vehicle is now equipped with four separate accelerator and brake hand control combinations and is accepted by Occupational Therapists in the driving assessment field and clients as not only providing ample opportunity for clients to trial a large range of Fadiel hand controls but also provides the supporting driver training required for clients. In nearing a two year period of training drivers on Fadiel disabled driver aids, I have found all equipment readily accepted by clients as aesthetically pleasing in appearance and ease of operation. This added to product reliability that I can contest too, I have no hesitation in recommending Fadiel disabled driver aids and Total Ability. Thank you for facilitating the fitting of Fadiel driving equipment in our training vehicle. We have been using them since December last year and have had a very positive response from our clients. For the past 25 years, Specialized Driver Training has been a prime provider of driver training for people with special needs, including a large percentage of clients requiring modifications to their vehicles when their physical ability to drive has been compromised by illness or because of an accident. 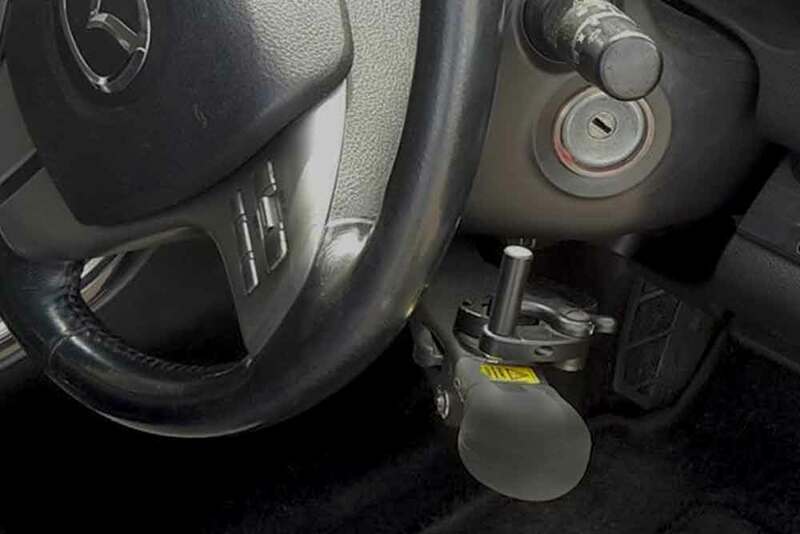 Some of the common adaptions we use include spinner knobs to facilitate steering and left foot accelerators for clients unable to use their right foot in an automatic vehicle. For spinal injuries, in the past, the most common equipment was the Monarch hand controls. 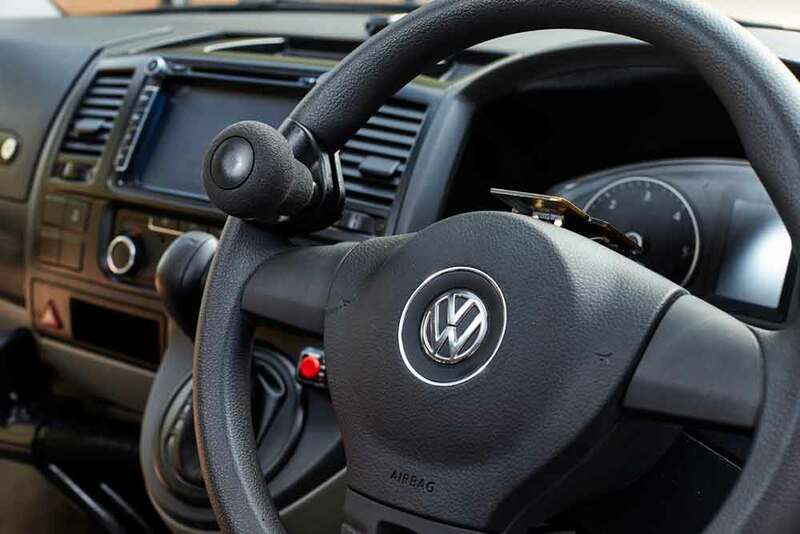 These controls are physically connected to the brake and accelerator pedals, enabling the driver to operate those controls with one hand while steering with the other. Whilst this type of equipment is very useful for a number of people, it has restrictions when there is a lack of coordination or when the client does not have enough strength to operate the controls safely. Since using the Fadiel combined accelerator and brake, together with the Satellite accelerator in our training vehicle, we have had a significant increase of clients who otherwise would have been unable to drive using the conventional equipment. 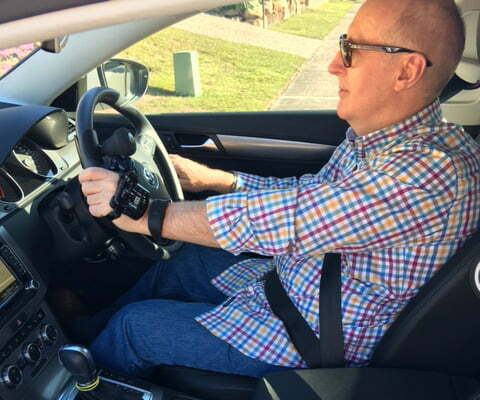 Driving with the new Fadiel hand controls makes these clients feel confident knowing they can manage this equipment easily and drive the vehicle safely. The quality and service provided by your installers is also very professional and the support from your organisation is excellent. The ease of operation of this equipment is remarkable, having an electronic accelerator requires little or no effort to operate and the fact that the acceleration is automatically switched off when the brake is applied gives an extra measure of safety. 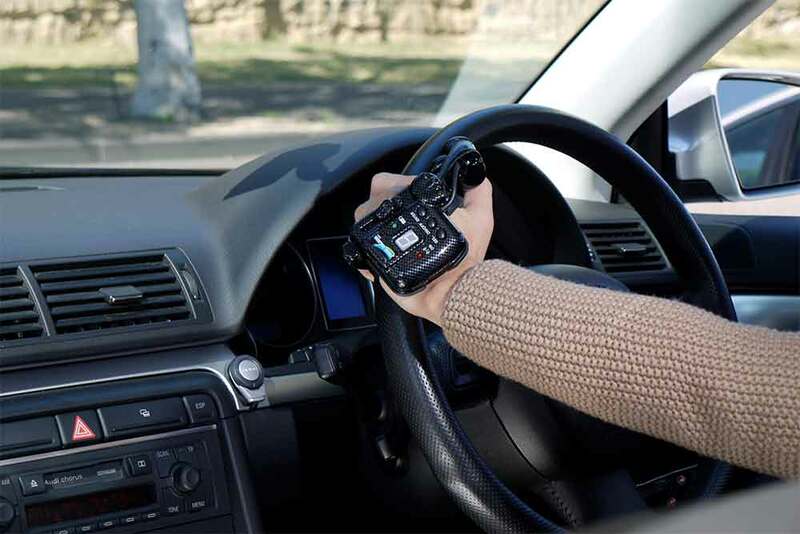 Being able to have two hands on the wheel while using the Satellite accelerator also gives drivers with limited strength the chance to drive for longer periods without experiencing fatigue. Congratulations Paul for providing our special-needs drivers the opportunity to use this state-of-the-art assistive equipment in addition to the other additional driving aids that your company offers to the disabled driver community. If you’re looking for someone to talk-up the Satellite Accelerator you have come to the right guy – although, in my opinion the system doesn’t need any talking up. It’s comfortable, efficient, safe, and by far the best system I’ve ever used. Personally, I use it with the wheel-spinner you supplied simply because it suits me but the spinner is hardly essential. Should I change my car, I’ll be transferring the Satellite Accelerator and Brake Lever into the new vehicle. The Satellite Accelerator – It’s sometimes the little things that make the greatest difference. The Fadiel controls’ put my ability back behind the wheel thanks to the two handed driving and easy acceleration.